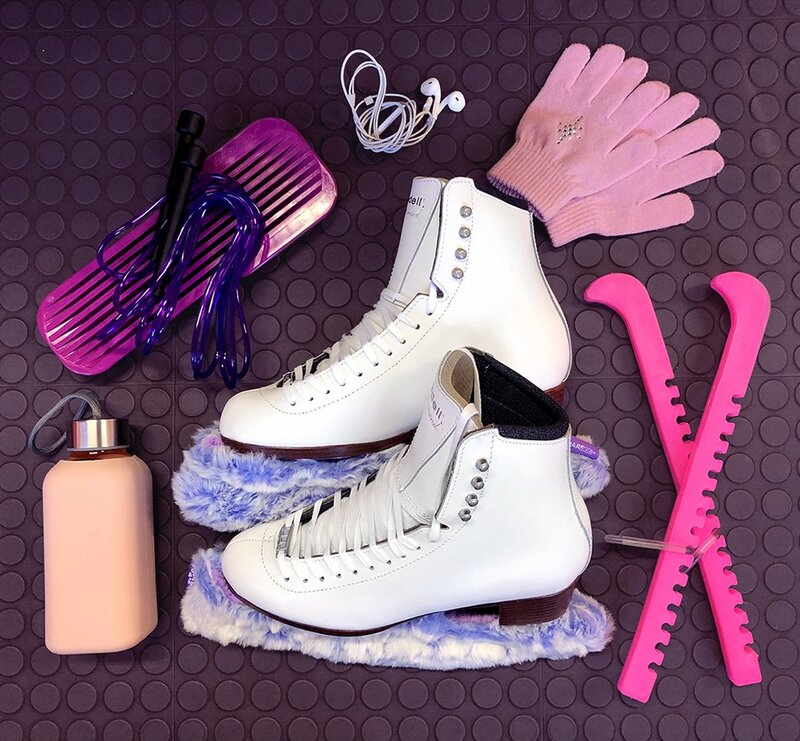 To get the most out of your ice skates and assure you have the best fit possible, have your figure skate boots sized, prepared and heat molded by a trained authorized Riedell skate dealer. Every pair of Riedell ice skates are manufactured with the finest materials and components that allow the skate to conform and shape to the exact form of your feet. The following 10 step procedure ensures maximum heat activation of the skate for effective skate fitting. Have your feet measured and sized by a trained skate fitter. Skate oven should be preheated between 165 – 180 degrees. Figure skate boots should be heated in oven between 4 – 7 minutes. Medium temper boots will need to be heated shorter time, 4-6 minutes. Firm and extra-firm temper boots will need to be heated 5-7 minutes. Remove boots from skate oven and flex heel counters open so foot can easily be placed in skate. Place foot in skate boot and lightly tap heel of foot back into heel cup of the boot. Lace the boot up with firm, snug tension on the laces starting at the throat area over the top of the toes. Maintain the same lacing tension to the top of skate. Skater can stand and put pressure on skates but do not walk in the skates if blades are not attached. Leave skates on for approximately 10 minutes. This will allow skate boots to shape and contour to the skaters’ feet. Remove skates and let skaters’ feet and skates relax for several minutes. Put skates back on and lace up with normal, comfortable lacing pressure. If discomfort or specific pressure points exist, heat area of boot with heat gun and adjust boot with boot press or shoe stretcher as needed. Re-fit ice skates using normal lacing pressure. Individualized heat-activated fit of the skate is complete.